Since 2010, we have established a cooperation relationship with Tourism Authority of Thailand (TAT). 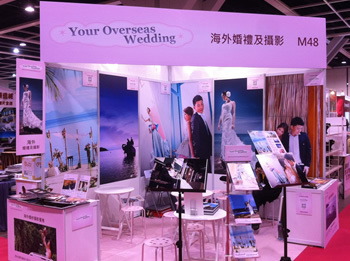 We associated the organisation of numerous promotional events for overseas wedding services and pre-wedding photo shooting services in Thailand. These promotional events could provide a chance to let more nuptial couples to have a better understanding of the lovely blue sky and sea, gorgeous scenes of Hua Hin, Samui and Phuket and create an unforgettable lifetime memory by capturing a series of energetic wedding photos under the sun thus having a romantic and hot summer beach wedding. Not only does Your Overseas Wedding provide information of Hua Hin, Samui and Phuket, but also we will work together with TAT to give multidimensional information letting nuptial couples enjoy the gorgeous Bangkok wedding photo shooting service. In order to let more nuptial couples have a taste of the artistic side of Hua Hin, we expressively cooperated with TAT to organise “Love in Thailand, Thai Sweet Wedding Photo Competition”. The award-winning couple will be given our Hua Hin wedding photo shooting service and air tickets and 2-night hotel accommodation from TAT to experience the unpredictable scene of Hua Hin. 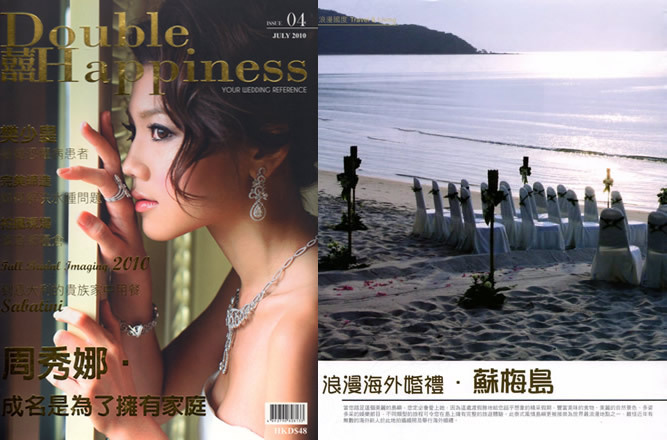 The photo style of the photographer in Hua Hin is very popular and is loved by many nuptial couples. Capturing wedding photos in characterised places could emphasise the popular tourist spots in Thailand. we have also participated in the Wedding Expo with TAT to promote our wedding photo shooting services and beach wedding service in Bangkok, Hua Hin, Samui and Phuket so that more nuptial couples can have a chance to exchange the wedding vow on the private beaches in Phuket and Samui and have their dream wedding there. Besides providing the beach as the venue for wedding, Your Overseas Wedding will also organise wedding parties and wedding dinner which is highly praised by nuptial couples and guests. Furthermore, several wedding and tourist magazines have recommended and introduced our wedding photo shooting services and wedding services in Thailand to promote the colourful Thailand scene and our photography services which makes more nuptial couples get to know our professional and sincere wedding photos and wedding services. To let nuptial couples enjoy the memories of beach wedding, Your Overseas Wedding will service only one couple per day to maintain a high level of privacy for the nuptial couples to have their overseas beach wedding which in turn makes the wedding days fully booked frequently. Despite the above events, we cooperate with TAT to hold marriage talks to explain and promote the detail of overseas wedding to nuptial couples, for instance reserving air tickets and hotels, suggestions on the trip etc. We will also give some tips about overseas wedding photo shooting and overseas wedding to nuptial couples so that nuptial couples can receive our all-rounded wedding information from time to time.